Students in this program will have an opportunity to work on projects for the Spring Garden Records label. Use the latest technology in creating and recording music. 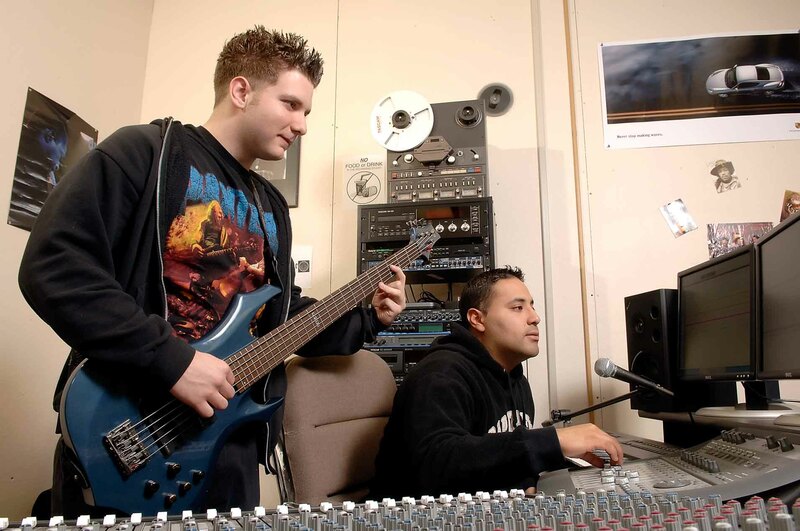 You will learn to use sophisticated equipment, work with professional software, create music for multimedia and film, use a mixing board and learn various microphone techniques, run and record live sessions, and print your own music for publication. 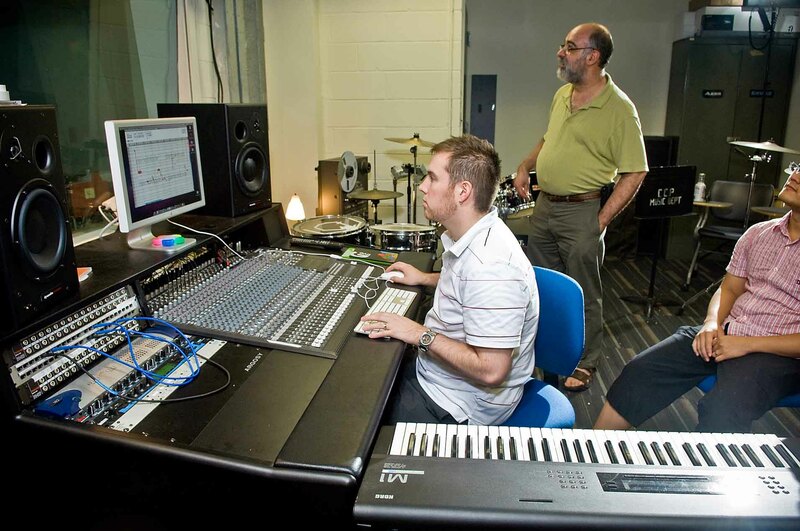 The College’s program also offers you internship opportunities at local recording studios, individual computer stations with extensive technology for recording and composing, an introduction to the music industry as a business, and training on the same equipment that music industry professionals use. 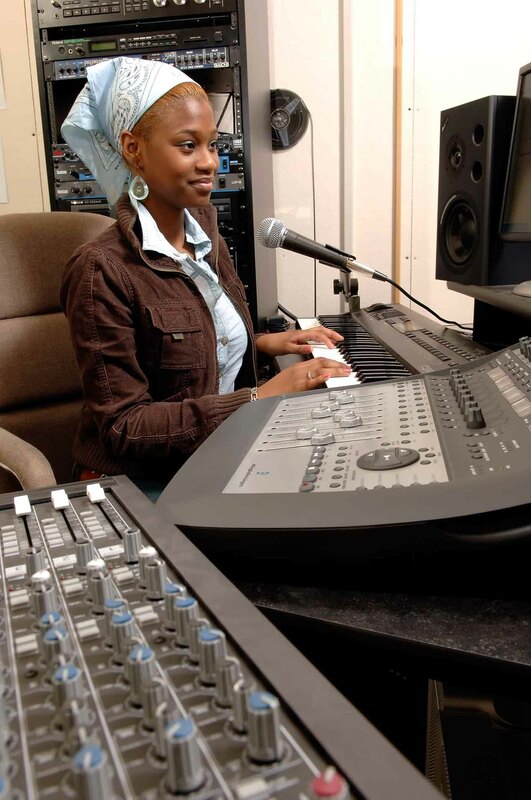 This program is ideal for anyone who wants to pursue a career in music production and studio recording, musicians who want to be able to record and publish their own music, and music teachers. The following courses and sequence of courses is designed for the optimal success and completion of the Sound Recording and Music Technology degree/certificate. Any alterations should be discussed with your academic advisor. 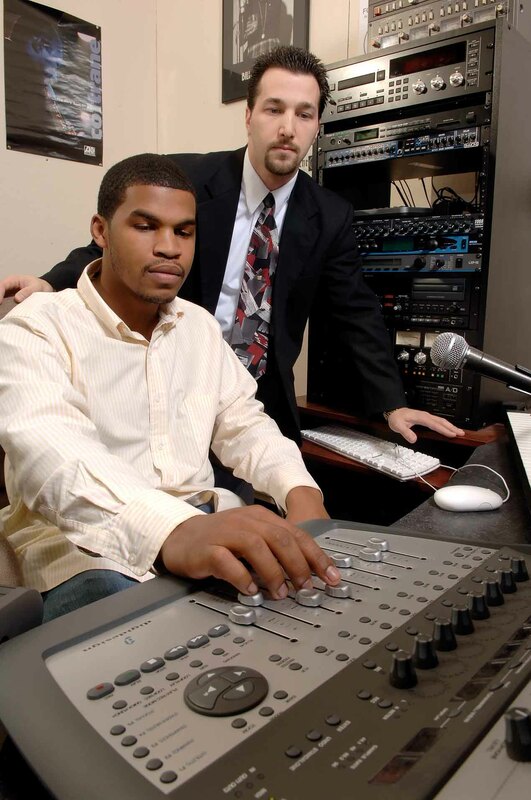 After successful completion of MUS 100 or arranging with the department head to take the course through Credit by Exam, students may change their major to Sound Recording and Music Technology by submitting a major change form signed by the department head. MUS 115 - Introduction to Music Technology 3 credit Students must take MUS 115 to keep on the Music Tech Course Sequence. MUS 196TB - Tenor/Bass Ensemble I 1 credit Students can register for any ensemble at the 196 level. MUS 197TB - Tenor/Bass Ensemble II 1 credit Students can register for any ensemble at the 197 level. MUS 296TB - Tenor/Bass Ensemble III 1 credit Students can register for any ensemble at the 296 level. Only offered in the Spring. MUS 297TB - Tenor/Bass Ensemble IV 1 credit Students can register for any ensemble at the 297 level. New workers generally start around $33,180. Normal pay for Sound Engineering Technicians is $56,058 per year, while highly experienced workers can earn as much as $103,372.